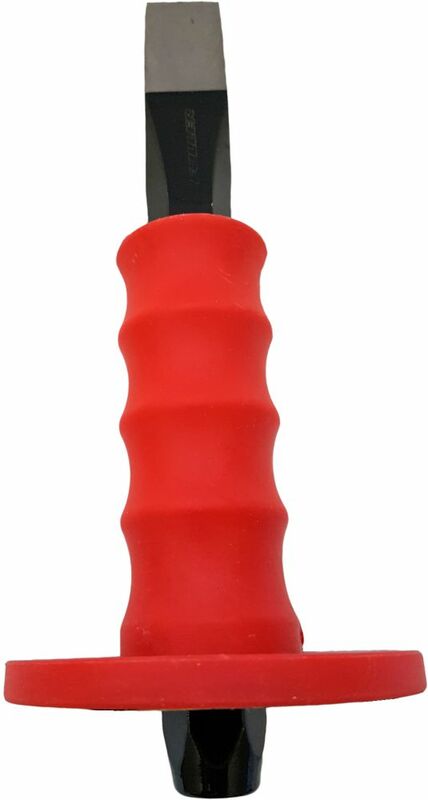 With a chrome-vanadium blade that is precision-bevelled for superior performance, a sturdy hand guard for safety, and an ergonomic rubber handle for better control, this 8-inch long cold chisel with a 7/8-inch cutting point will make short work of any metal that needs to be chopped, shaved or shaped. Husky Ratcheting Wrenches feature a 12-point design pattern to help prevent fastener damage and increase torque. Their slim design fits into tight spaces where other wrenches may not fit. The polished chrome finish provides corrosion resistance. NT Quick Return cutter / knife has a revolutionary double spring-retractable and ratchet wheel blade locking mechanism that gives this cutter highly safe cutting features. The mechanism is activated a powerful return spring that retracts the blade the instant the user release the thumb from the slider, so the blade remains extended only while cutting, eliminating the possibility of injuries. And the ratchet wheel blade locking mechanism prevent blade for slipping. Besides, it has other features like an Extra length for jobs requiring extra "reach". The design also includes a strong ergonomic metal grip, heavy gauge stainless steel blade channel, blade snapper, rope loop and an anti-slip handle. Uses replacement blades: BL-50P. 8-inch Cold Cut Chisel with 7/8-inch Cutting Point With a chrome-vanadium blade that is precision-bevelled for superior performance, a sturdy hand guard for safety, and an ergonomic rubber handle for better control, this 8-inch long cold chisel with a 7/8-inch cutting point will make short work of any metal that needs to be chopped, shaved or shaped.